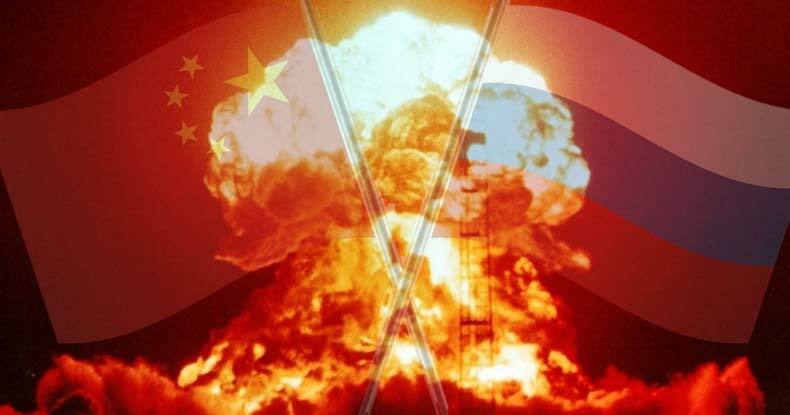 Amid heightening tensions with China and in the wake of accusations Russia somehow interfered in the election, U.S. Congress has instructed intelligence agencies and the Pentagon’s Strategic Command to assess the ‘survivability’ of Chinese and Russian leaders in the event of an above- or below-ground nuclear strike. Under ordinary circumstances, such a review could be considered routine, but — given President Donald Trump’s ratcheting up of hostilities with China and the Democratic establishment’s scapegoating of Russia for its own shortcomings — it seems more an indication the U.S. could be preparing for war. Interestingly, the plan for this analysis came buried in the 2017 NDAA, which former President Barack Obama signed into law two days before Christmas — timing almost certainly intended to deflect attention from several unsavory measures buried in the law’s pages. This review, had it garnered attention, surely would have set off further debate on the perilous provocation to war with nuclear capable nations. “Key officials and organizations of each respective country involved in managing and operating such facilities, programs, and activities” will also be identified by analysts. Strategic Command will also evaluate how Chinese and Russian plans relate to the post-nuclear deployment plans of the United States. Written before Trump took office, the planned analysis nevertheless aligns with the president’s statement the U.S. nuclear arsenal should be strengthened — despite his stated goal of rapprochement with Russia. China and Russia, he continued, “have invested considerable effort and resources into understanding how we fight, including how to interfere with our leadership’s communication capabilities. While posturing about Russia being responsible for hacking and otherwise manipulating either the election or the U.S. populace has subsided since Trump took office, the president has intensified hostilities with China over trade, as well as maritime territorial issues in the South and East China Seas. Russia and the U.S. ostensively possess some 90 percent of the world’s nuclear weapons — but Moscow has reportedly spent a great deal of time and money upgrading and improving its arsenal, where the U.S. has not. Assessing the plans of world leaders in the event military action turns nuclear indicates the use of these weapons remains a viable option. “Nuclear leaders in Russia and China ‘plan to direct nuclear forces from inside command bunkers buried deeply beneath the earth or deeply inside mountains,’ said Bruce Blair, a Princeton University research scholar on nuclear security policy and co-founder of Global Zero, a group devoted to eliminating nuclear weapons,” Bloomberg reports. With a cascade of contentious executive actions coming nearly every day since Trump took the oath of office, vigilance — particularly concerning bellicose exchanges between the U.S. and China or Russia — is an absolute imperative.